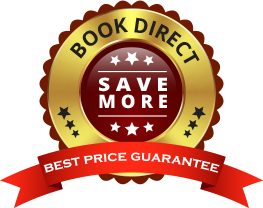 Internationally rated #1 Hotel in the South Pacific & New Zealand (TripAdvisor, Jan 2012), Century Park Motor Lodge in Nelson is far more than just near new 5 star Accommodation in Nelson, NZ. Our super friendly service, superb Location and top motel hospitality are unrivalled. 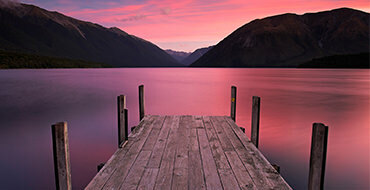 We're the type of motel Nelson locals and visitors from outside of the area have needed for years. We are Completely Smoke Free and FREE unlimited WIFI. Surf the web, check your emails, or tweet up a storm from your room. Discover why our Guests RAVE about their stay at our central Nelson Motel . . . Enjoy the luxury accommodation experience you deserve. Our Goal at Century Park Motor Lodge in Nelson is 100% Guest Satisfaction. If you are not satisfied with something to do with your accommodation experience, please let us know - we'll make it right or you won't pay. Enjoy your stay at our central Nelson accommodation establishment. I firmly believe our motel is not just about service - its about great hospitality! My aim is to ensure that when you leave you can feel rested, refreshed, and have experienced the fantastic Nelson region the way it should be. Jackie's the best! Most customer focused ever! The staff exceeded expectations, Jackie was excellent and very helpful! Motel was beautiful and clean, breakfast was great! I would suggest this Motor Lodge again & again. My stay couldn't have been nicer! Jackie was great, motel was clean, great breakfast and beautiful kitchen in room! The staff exceeded expectations, were extremely friendly and helpful. The motel was beautiful!! Got all the basics perfect – cleanliness, spacious, modern. Plenty of power sockets, easy wifi. Additional extras make such a difference – coffee machine, bathroom lotions, real milk, don’t need an IT degree to use the TV, great shower pressure. I don’t usually enjoy travelling for work this made it so much more pleasant. Room was clean and comfortable 1000/10!! The staff exceeded expectations, very helpful and patient. Loved the dishwasher. Room was clean and comfortable 1000/10!! The cleaner was AWESOME! She/he had put all of the dirty dishes and cutlery into the dishwasher and washed them. Comfortable bed and a lot of useful functions. Including spa, filtered water and a radio. The staff exceeded expectations, awesome and nice. Very cooperative. The best staff ever!! 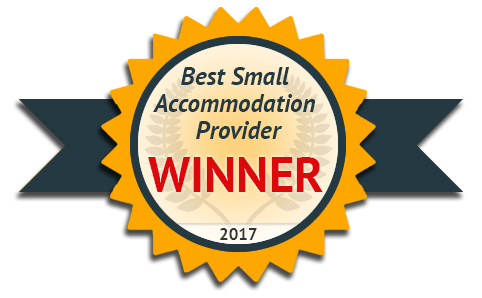 Jacki is so helpful, friendly as the owner, you understand why they won the T.A Award 2017 – the best. A great size for a relaxing stay – beaut location – lovely interior, well appointed, so comfy and we loved the sunny courtyard. Jacki – we loved our stay, you made a grand effort, a beautiful home away. Will stay here again next time! The staff were very friendly, it’s my second time here in 3 years since 2011 and I got caught in Kaikoura. The room was spotless, most thankful. There is nothing more you could do to improve this business, you are friendly and most important a good smile to welcome your guests. The staff were Exemplary! Jacki and her staff went out of their way to be helpful, offering to forward my lost cell phone when the courier didn’t turn up on time. It genuinely felt like we were the first people to use this apartment, it was so clean! Unbelievably well equipped for a motel apartment! 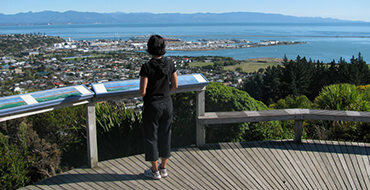 Love Nelson, love Century Park – would stay again without a second thought. In regards to the staff, we didn’t really require much interaction but am assured if we’d have needed anything our expectations would have been met/exceeded. The room was lovely and clean, tidy, well appointed, comfortable and quiet. Would stay again. Jackie at reception was fantastic from the very beginning. All staff were friendly, accommodating and helpful at all times. The room (twin single spa studio) was magnificent and very comfortable, we especially enjoyed having the kitchenette facilities and everything was impeccably clean. Only a 10 min walk to the centre of town and 15 to the Trafalgar Centre for those attending sporting events as we were. Close to Countdown shops (4) in various directions and all easily accessible by foot and car. Wouldn't hesitate to rebook for a family holiday next time we are in the area! We were blown away by the genuinely warm welcome we received at Century Park Motor Lodge. We were made to feel that nothing was a problem. On top of that the room was perfect and amazing value for money. 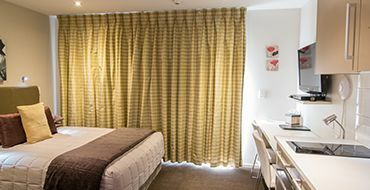 Spotlessly clean, quiet, stylishly appointed, comfortable and well located, we will be staying here again when next visiting Nelson. We decided to stay at Century Park Motor Lodge because of the good reviews that we saw and were aiming for something that had kitchen facilities. The room was in an immaculate condition. It was very well organised and serviced daily. They had a book which told you useful information about emergency procedures along with recommended places to eat that could deliver straight to the room we found the information very useful. All in all, we would stay again. Awesome welcome, housekeeping team & place to stay! The staff are all friendly, attentive and professional. The room was beautiful and clean with awesome sound-proofing! Shower + bath - awesome! Mirror defrosting - awesome! Great heat pump - awesome! Great art, WiFi + kitchen facilities - awesome! Thank you - one of the nicest places we've stayed at in a long time - super impressed. Hope to be back! Motel had really high specifactions! Although we were late 1 day due to ferry cancellation, the staff were very accommodating. Friendly and provided great advice on local restuarants and beaches. Unit was super clean, very comfortable beds and furniture. Great service, keep it up, great location and amenities. We will definitely recommend or stay again with you. Beautiful place and location the place is super clean, superb service. Staff attitude and friendliness exceeded expectations, they were very friendly and warm. Friendly, warm, tidy, excellently serviced rooms, close to town - a good hub to move out from. Thank you sooo much, our stay was memorable. By far the best motel we've stayed at during our 3 weeks in the South Island. Everything asked for was provided with pleasurable attitude. The room had exceptional care and attention to detail. The proximity to town for easy access to restuarants etc, also we enjoyed the ambience of the unit. Will recommend others to stay here. Possibly the best Motel room, I've ever seen! It feels like every little detail and need has been thought of. The room has features that you probably wouldn't even find in much more expensive city hotels. Thanks for helping me Jackie! Very welcoming - lovely queen bed. Thank you so much - such a beautiful stay. We loved our stay, thank you so much for the upgrade. It was fabulous. One of the best motels we've ever stayed at. Wish we could have stayed longer. The bed was super comfortable.